Not only did this extension significantly enlarge the kitchen, but this design managed to fit in a whole new bedroom and ensuite to the ground floor! This new addition was perfect for a moody teen wanting their own space, or a family member visiting from afar. Resi managed to successfully unlock the potential and value of this two-storey home. 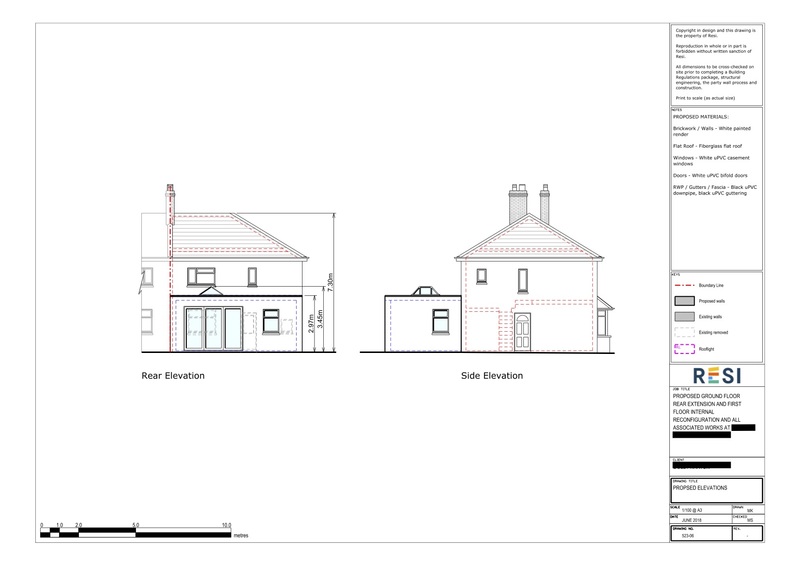 Our client was aiming for a traditional, cosy home, with lots of natural light. They required a downstairs toilet and shower, with an enlarged kitchen. Somewhere on the ground floor, they needed some extra storage space, as the existing property had very little. 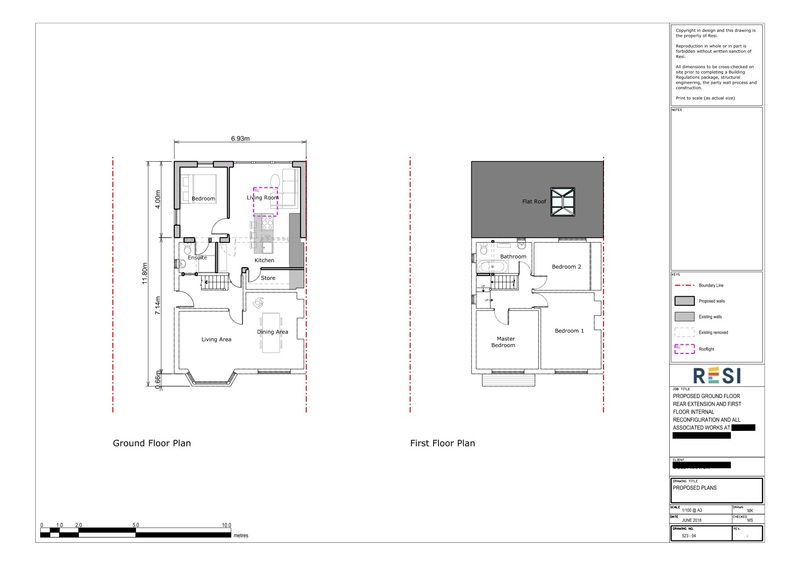 For the extension I designed the layout so that the master bedroom was to the left, and an enlarged kitchen attached to a living area was positioned on the right of the property. For this room, I fitted a large roof lantern to provide ample natural light, plus floor to ceiling glass doors looking out onto the garden. Behind the kitchen there was a whole room dedicated to storage. On the first floor, I corrected the illogical layout of the WC and shower, and instead combined them to create a spacious bathroom.